You’d be surprised how far you can get for under £1000. These Headwater holidays represent exquisite value for money, with many included meals, local produce tasting, superb rep service and handpicked boutique accommodation making every holiday extra special. Cyclists have a lot to look forward to within that £1000. Not only will you be provided with expertly written and detailed route guidance, you’ll also be able to enjoy the benefits of our RideWithGPS app which gives you hands-free audio navigation – no more stopping to check the map, quibbling over which turn to take, or heavy route description booklets to carry around. We’ve included all luggage transfers from hotel to hotel, so you’re never weighed down on your ride. And if you’re short on time, then it’s good to know our expertise has been distilled into each itinerary so you don’t need to worry about organisation – all the time you have can be spent enjoying your holiday. 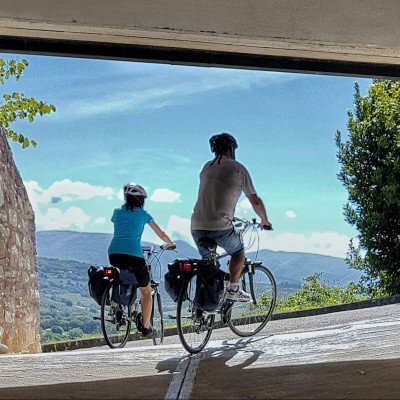 For less than £1000 you could be coasting along the long Tuscan roads from Pisa to Florence, sipping and cycling your way across Scotland’s scenic whisky producing regions, ticking off an iconic journey along Europe’s finest riverside cycling routes of the Danube, or hugging the coast of the Adriatic Sea on a ride from Italy to Croatia.